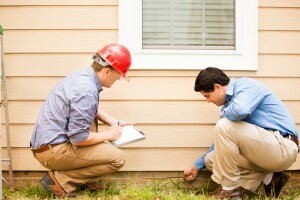 A bill proposing to mandate the licensing of home inspectors in Ontario, and to stipulate inspectors’ liability insurance coverage, was tabled Monday at Queen’s Park in Toronto. Bill 165, the Licensed Home Inspectors Act, proposes to give the Ontario government the power to make regulations stipulating what insurance home inspectors must have, including errors, omissions and commercial general liability. British Columbia and Alberta already regulate home inspectors. The bill was tabled Monday for first reading by Han Dong, Liberal MPP for the Toronto riding of Trinity-Spadina. Dong is parliamentary assistant to Training, Colleges and Universities Minister Reza Moridi. Bill 165 would give the provincial government the power to make regulations “prescribing types of inspections to be included in or excluded from the definition of ‘home inspection'” and to make regulations “exempting any person or class of persons from any provision” of the law. The government would also have the power make a regulation delegating an “administrative authority” to administer the provisions of the Licensed Home Inspectors Act. It will be illegal for anyone without a licence to “take or use the designation ‘Licensed Home Inspector’ or ‘inspecteur d’habitations titulaire d’un permis’, or the initials ‘L.H.I.’ or ‘I.H.T.P,’” or to “take or use any term, title, initials, designation or description implying that the person is a Licensed Home Inspector” or to “otherwise hold himself or herself out as a Licensed Home Inspector,” if Bill 165 is passed into law. Licencees would be required to “meet the prescribed standard of practice,” to “comply with the code of ethics established in the regulations,” to “maintain the minimum insurance requirements set out in the regulations” and to meet other conditions specified in regulations. Bill 165 also proposes to enable regulations establishing a code of ethics, “authorizing and governing inspections that may be performed by inspectors for the purpose of determining whether a licensee has met his or her licence conditions,” a complaints process, publishing the names of licensees, stipulating which information about licensees is made public, “prescribing the types of insurance they must have, which must include coverage for errors, omissions and commercial general liability” and setting minimum coverage levels, among other things.